UltraTrainer is your virtual coach, trainer, and training partner. 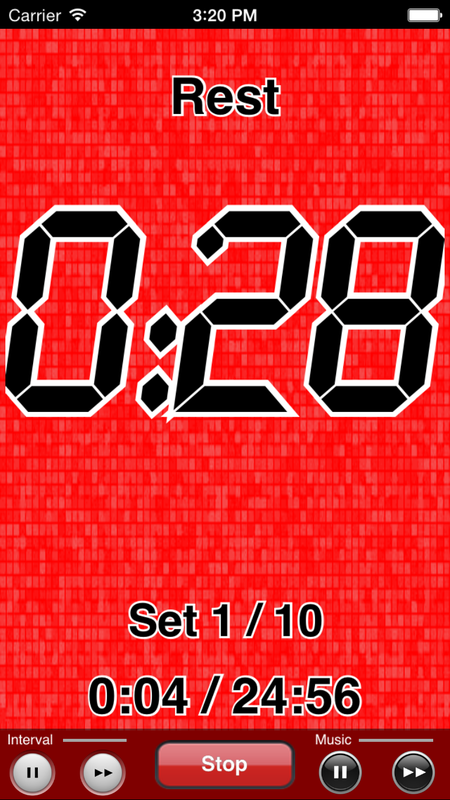 It is a revolutionary timer which was not available previously on any mobile device. 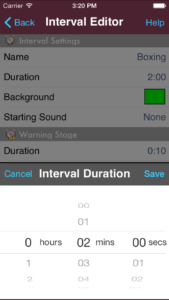 In a Traditional Interval, the interval is a specified duration. 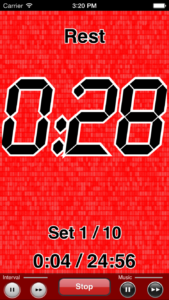 This is what you would normally expect from an interval timer. 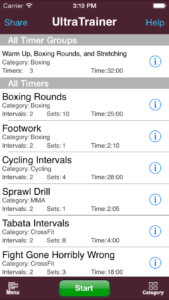 Routines such as Tabata, HIIT, etc, are incredibly easy to setup and modify. 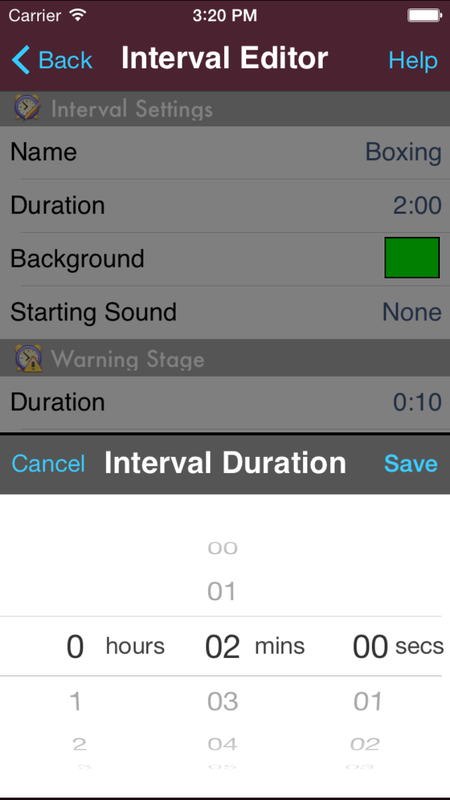 The Randomized Action Intervals is where UltraTrainer truly breaks new ground. 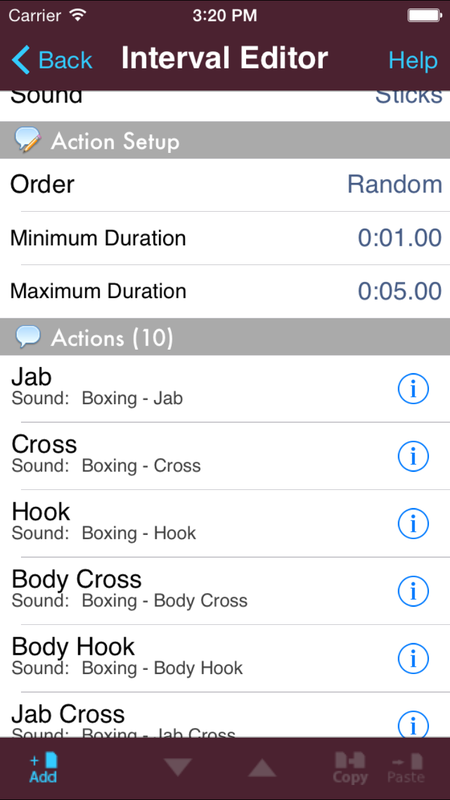 UltraTrainer will call out Actions for you to perform in random order AND at random times that you control. How can this help my training? For example, if you are shadow boxing or hitting the heavy bag, you would normally think of a combination of punches and throw them. 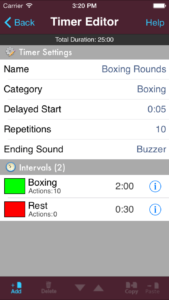 Instead of consciously coming up with the combination, UltraTrainer can tell you what punches to throw. 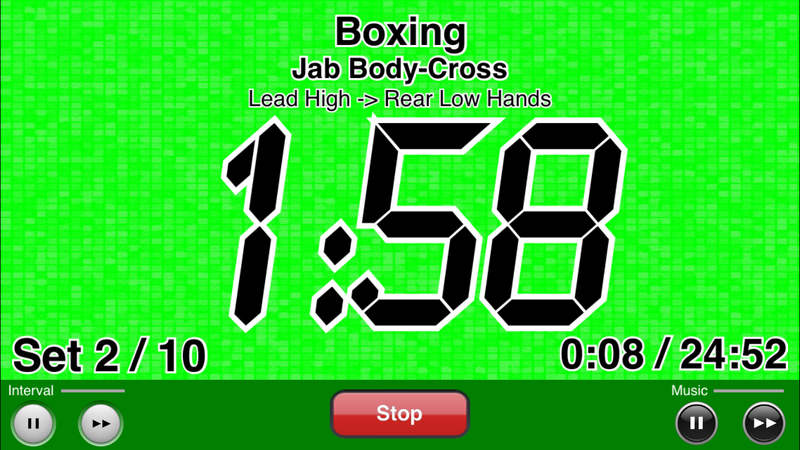 It can call out ‘JAB!’, then a second later ‘JAB CROSS!’, then a second and a half later, ‘CROSS HOOK!’, until the interval ends. 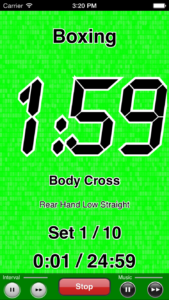 This is how UltraTrainer can be your virtual coach/trainer/training-partner: you can not train reactionary reflexes without somebody or something telling you what to do in random order and at random times. UltraTrainer does that for you. 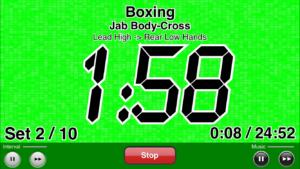 Martial artists can work on reflexes by creating timers that randomize movement (“Forward!”, “Backwards!”) and actions (“Sprawl!”). Cyclists can simulate mountain road courses by setting up intervals that randomize pedaling speed. 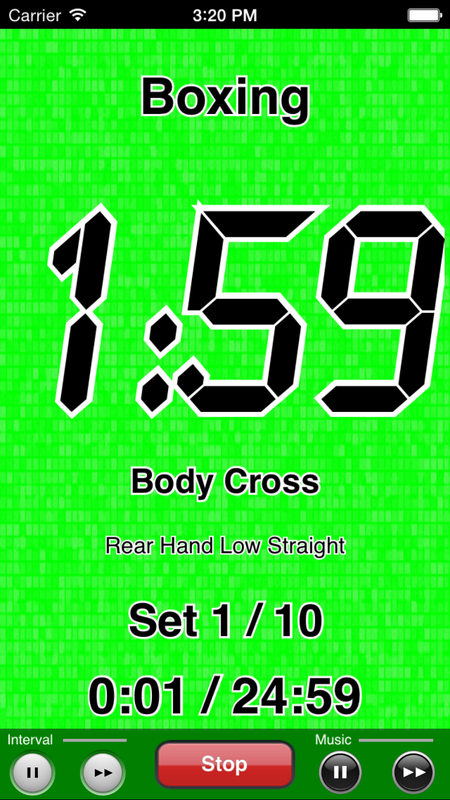 Crossfit athletes make heavy use of timers for quick high-intensity workouts. 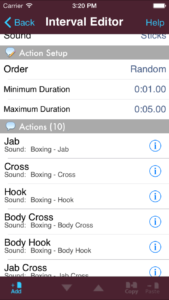 The sample timer “Fight Gone Horribly Wrong” is based on “Fight Gone Bad” but with a twist. 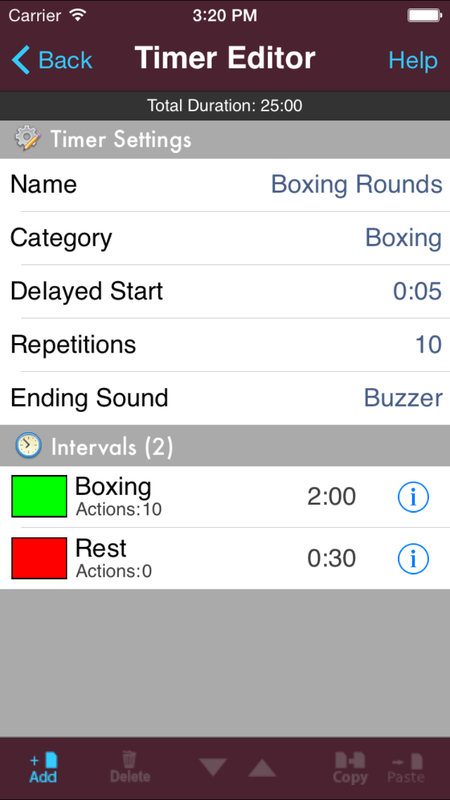 Each of the 5 stations is called out in random order and the duration at each station is randomized between 20 seconds and 1 minute. The result? A franticly paced workout because you never really know when the next station will be called out so you have to try to completely exert yourself at the current station. What is the Timer Exchange? You can also trade timers directly with a friend using E-mail, or the clipboard to transfer them other ways. 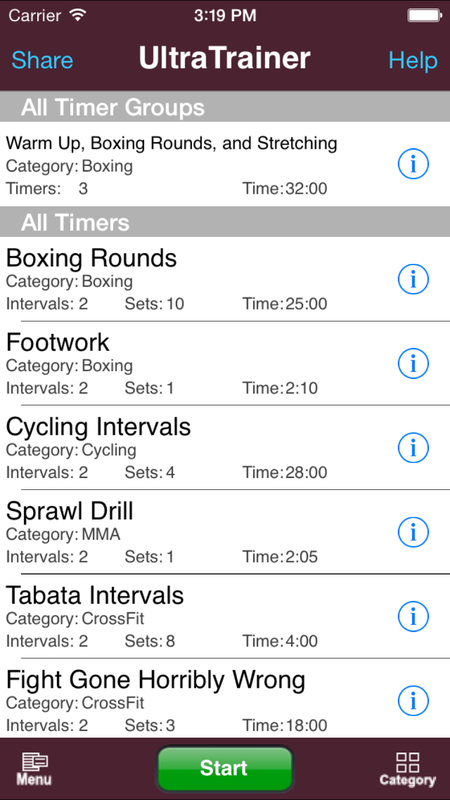 UltraTrainer can be used for martial arts, mma, boxing, bjj, circuit training, interval training (Tabata, HIIT), Crossfit, yoga, meditation, cycling, running / sprinting, swimming, time-management, multi-stage recipes for cooking, weight lifting, stretching, and anything else you might be able to think of. As you can see, UltraTrainer can be used in all sorts of situations.